My work for upcoming World Water Day, 22nd March 2016, an UN-Water/UNICEF initiative program. Ever heard about the Eureka effect? Its the sudden, unexpected realization of the solution to a problem. 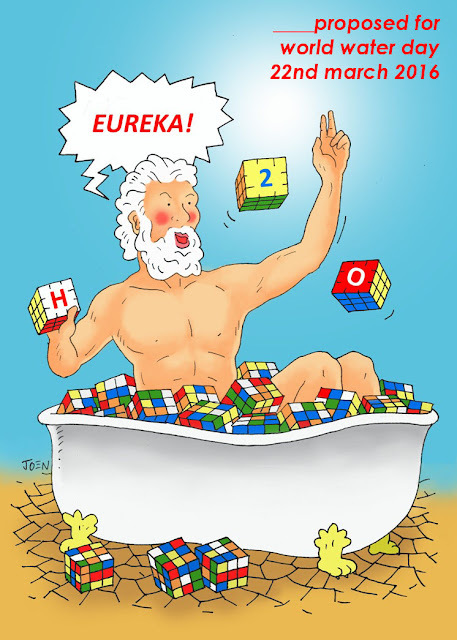 The Indonesian cartoonist Yunus Erlangga interpreted what water is to him in these cartoons. Yunus - well known under his artistic name as JOEN, is a member of Cartoon Movement and tOOnsMag. See more of his work on instagram or on his blog.